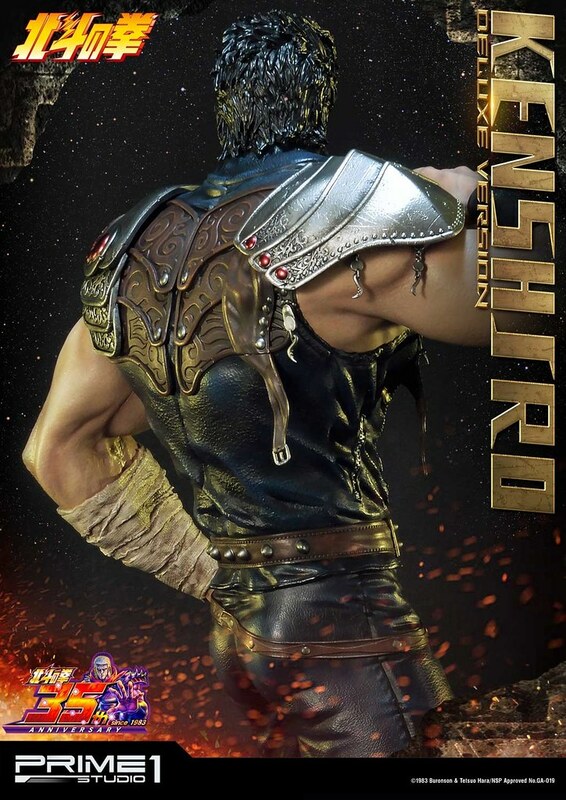 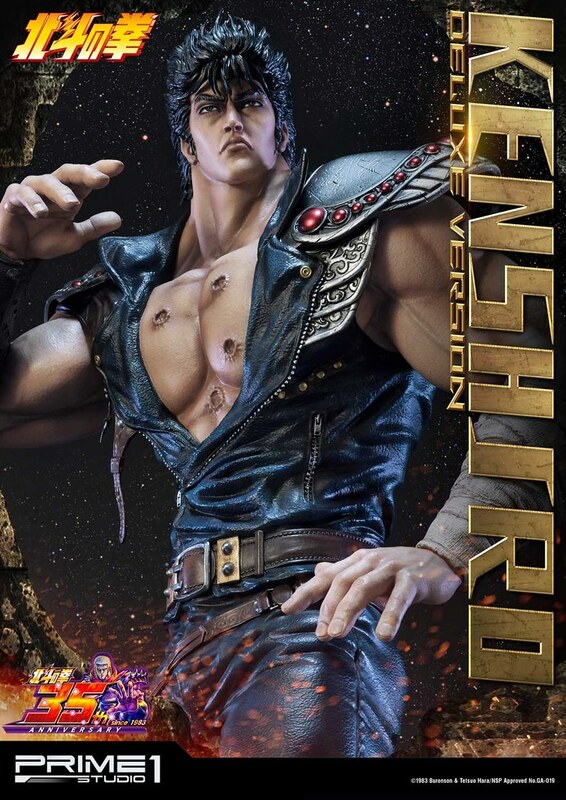 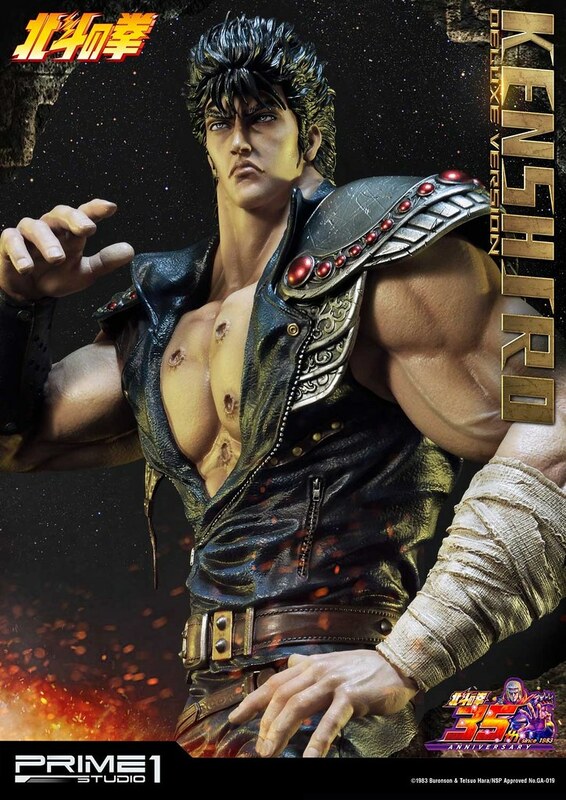 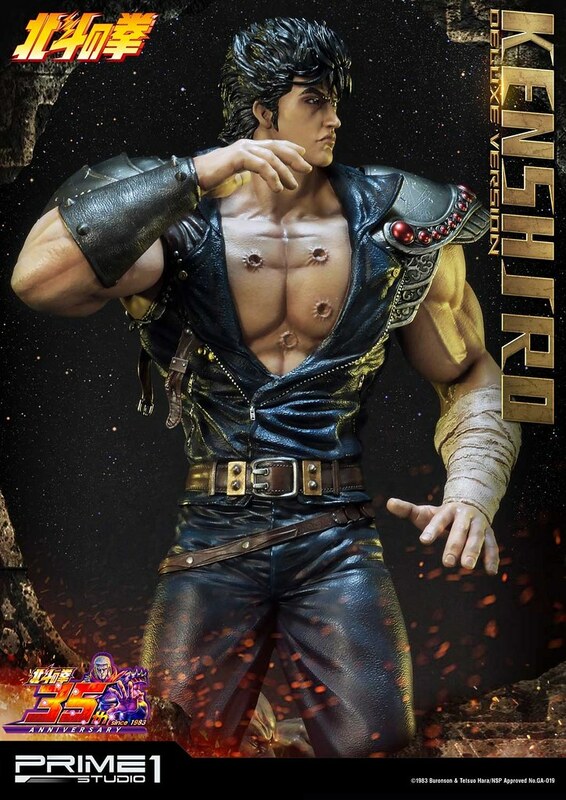 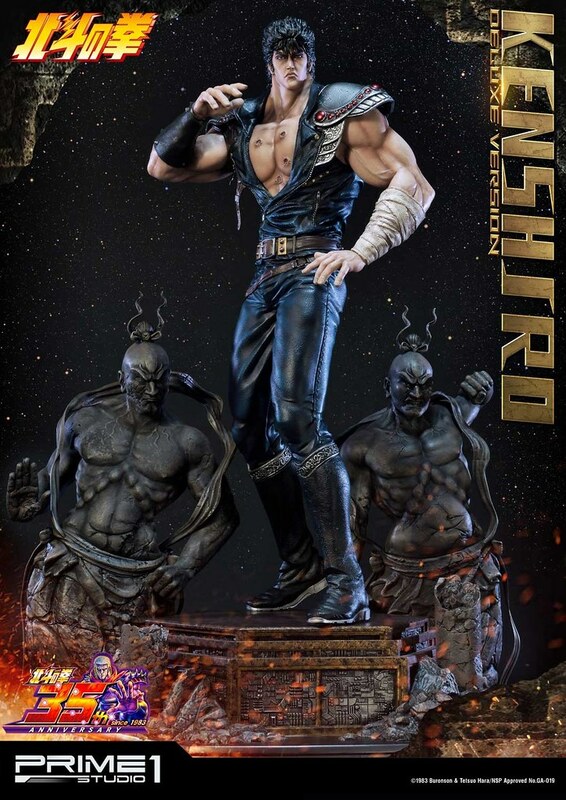 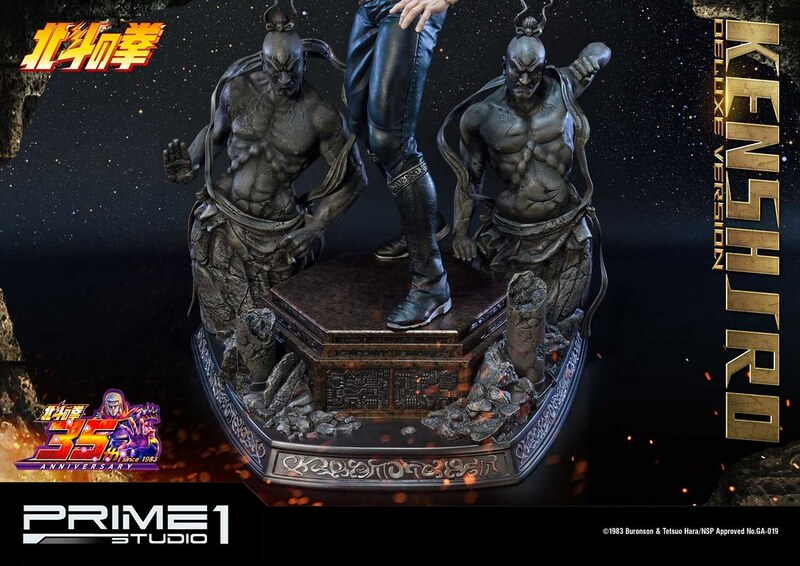 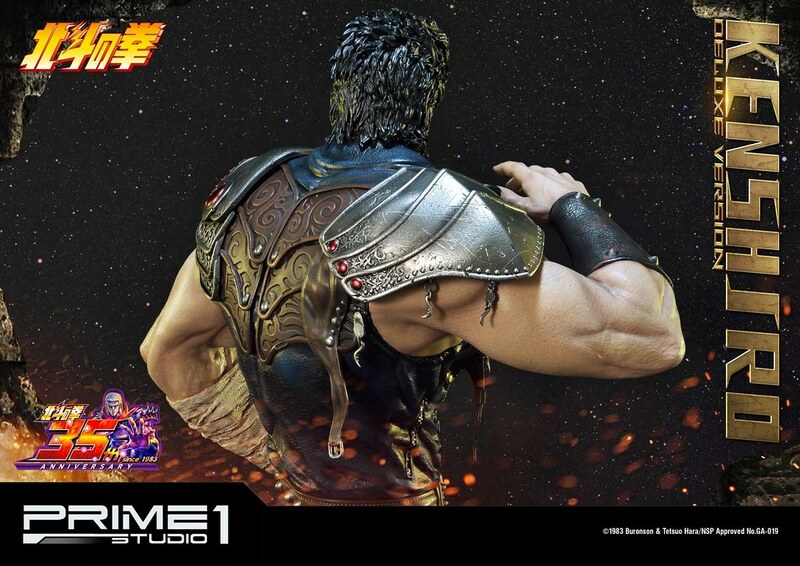 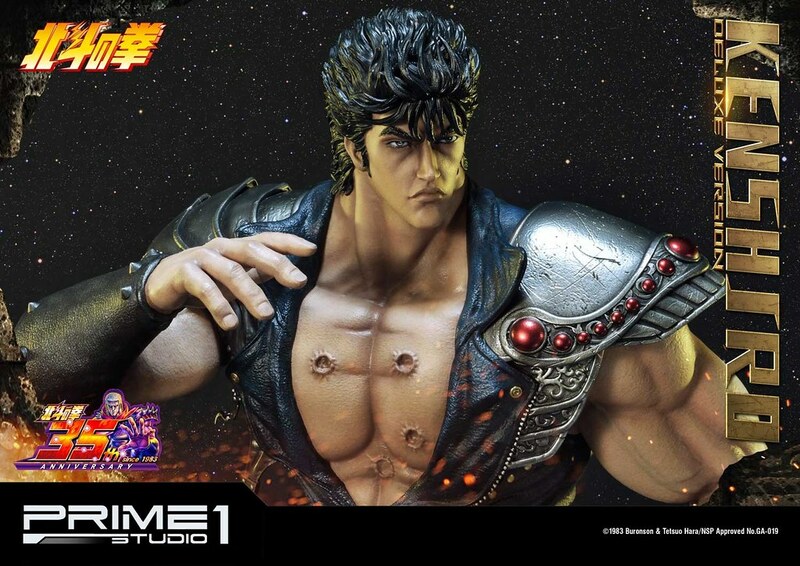 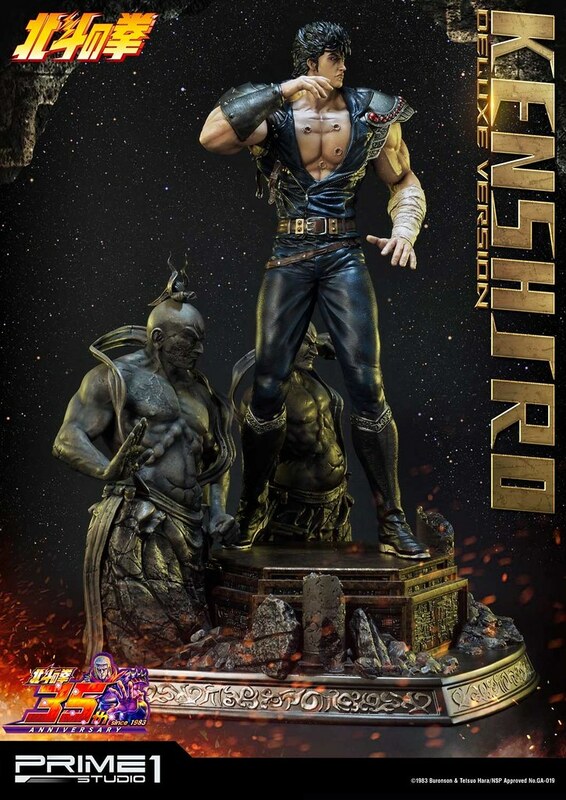 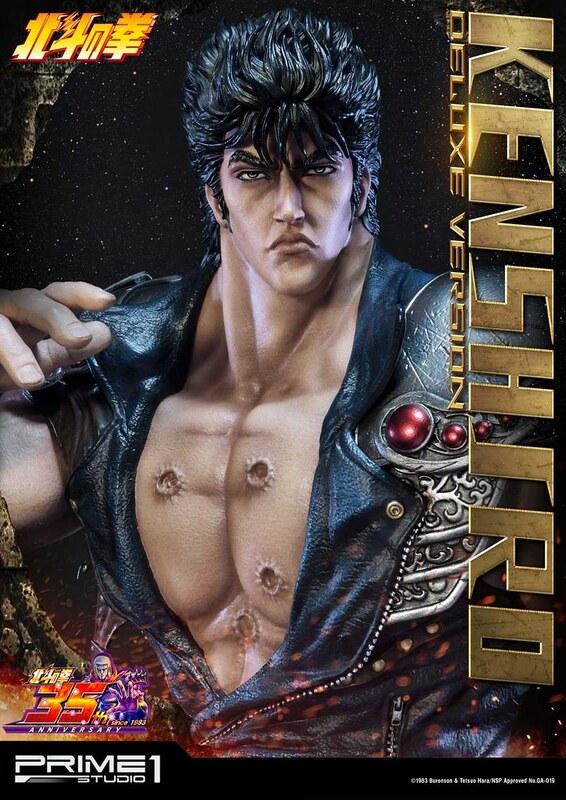 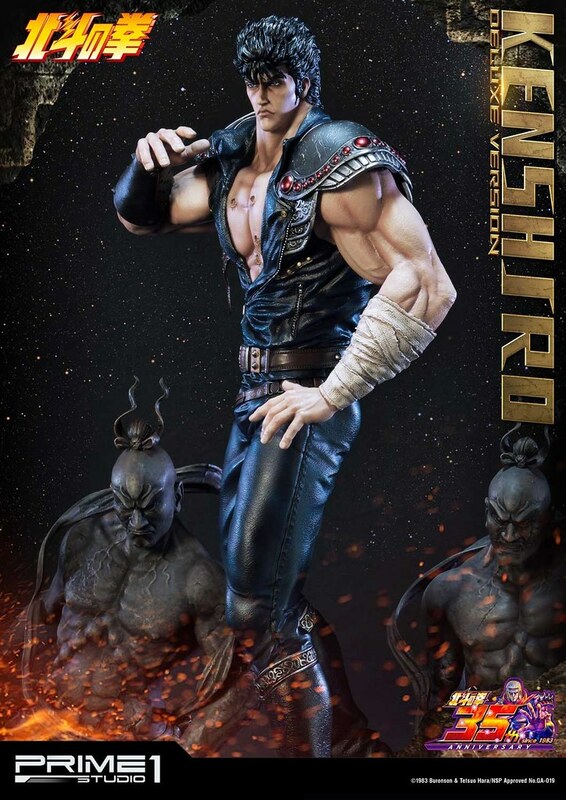 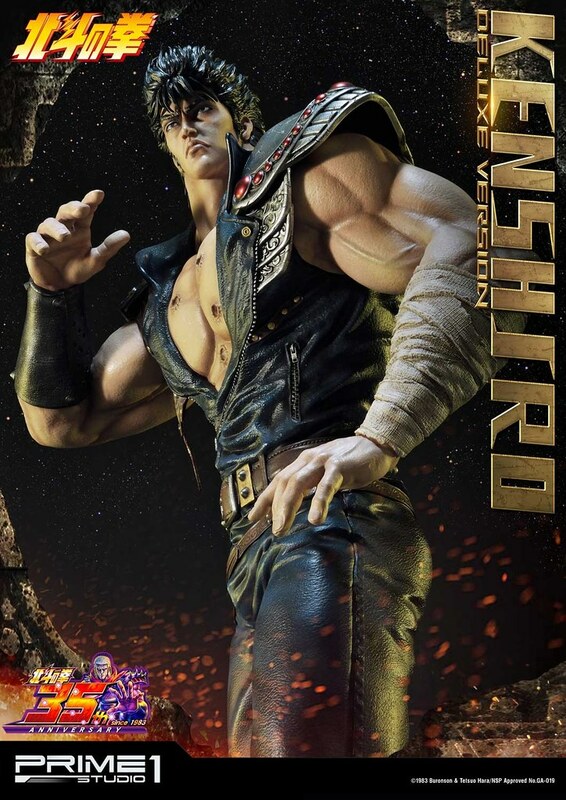 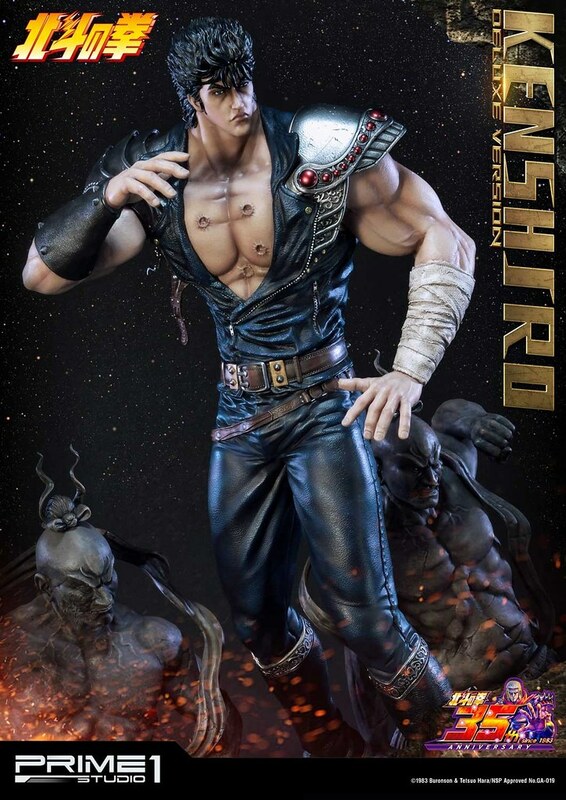 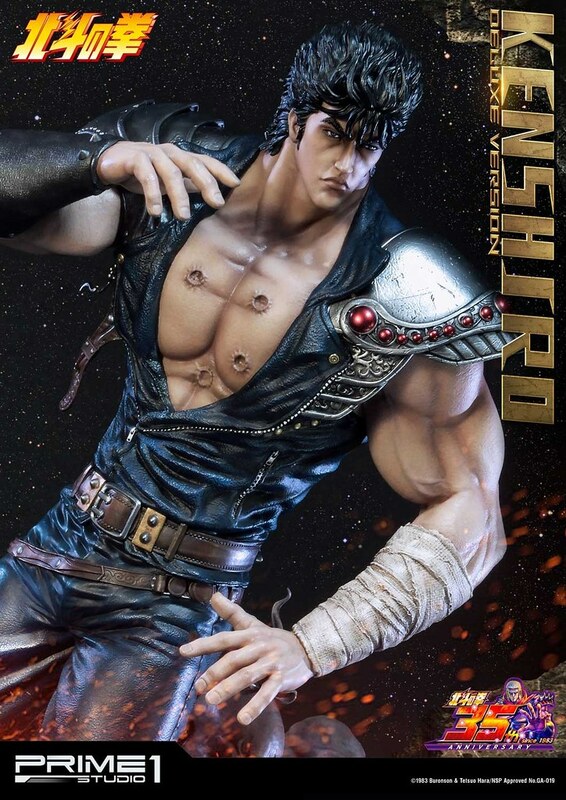 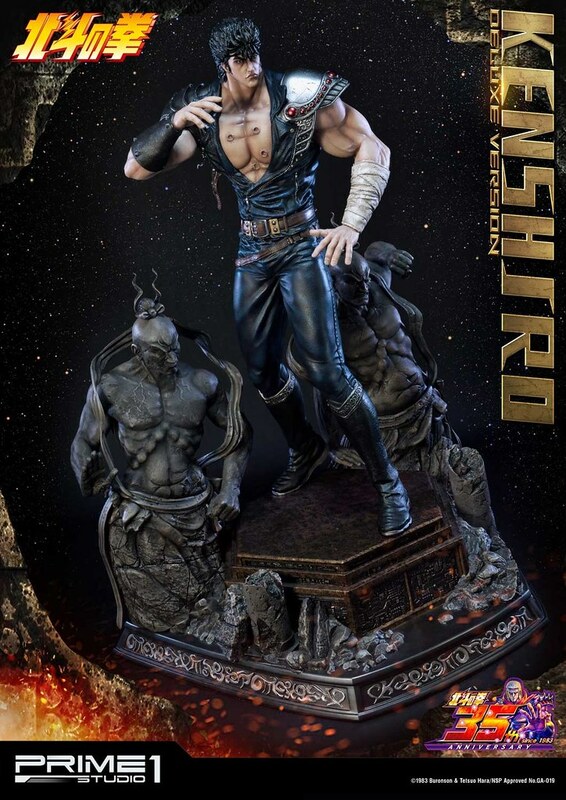 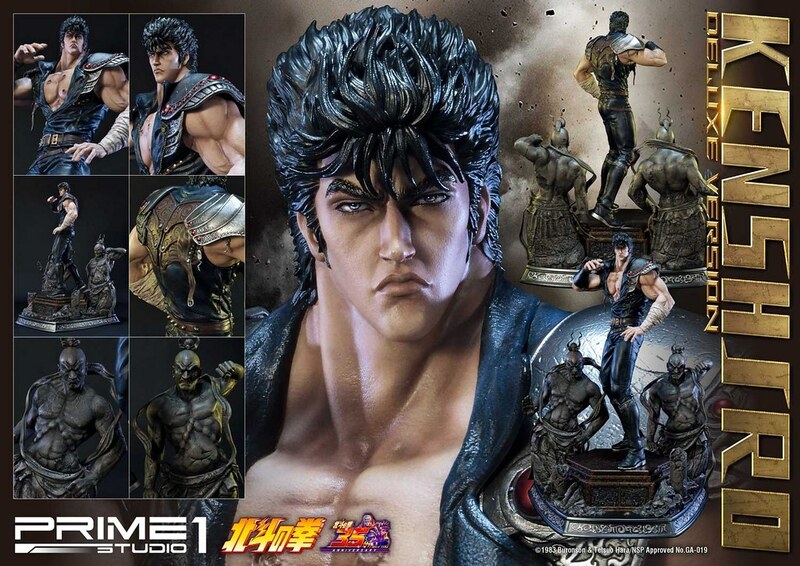 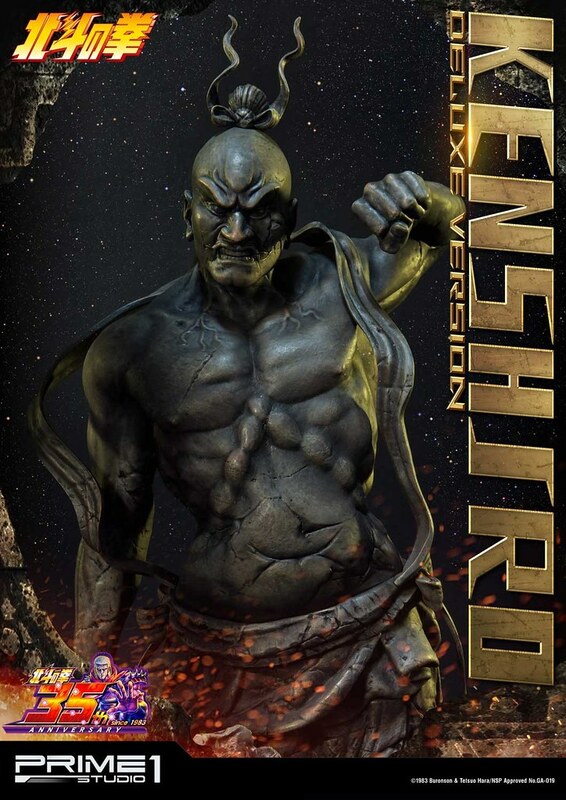 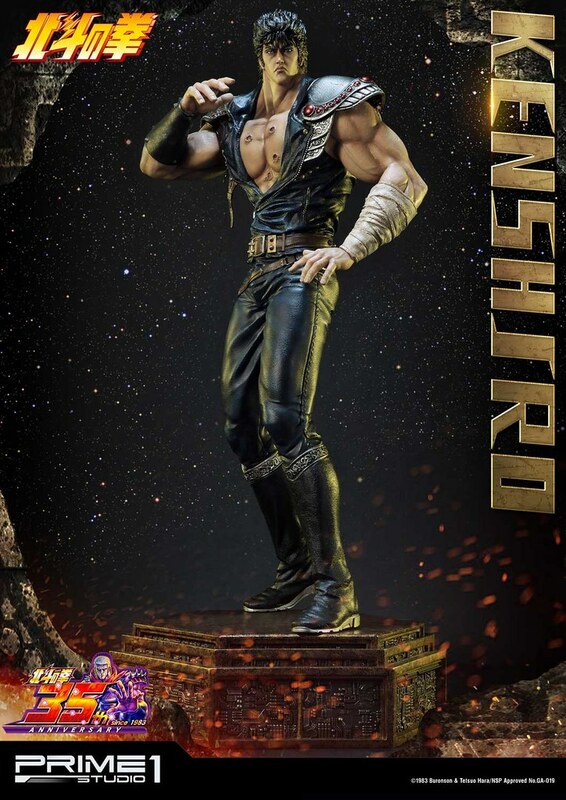 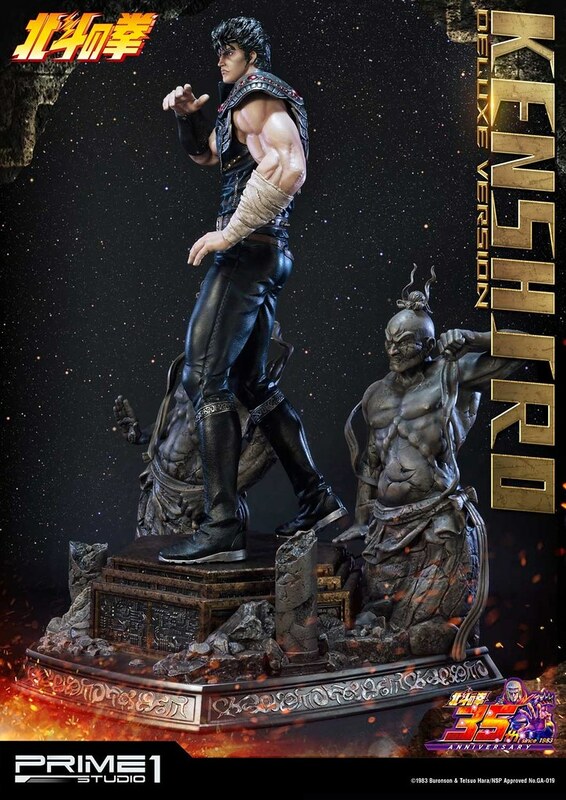 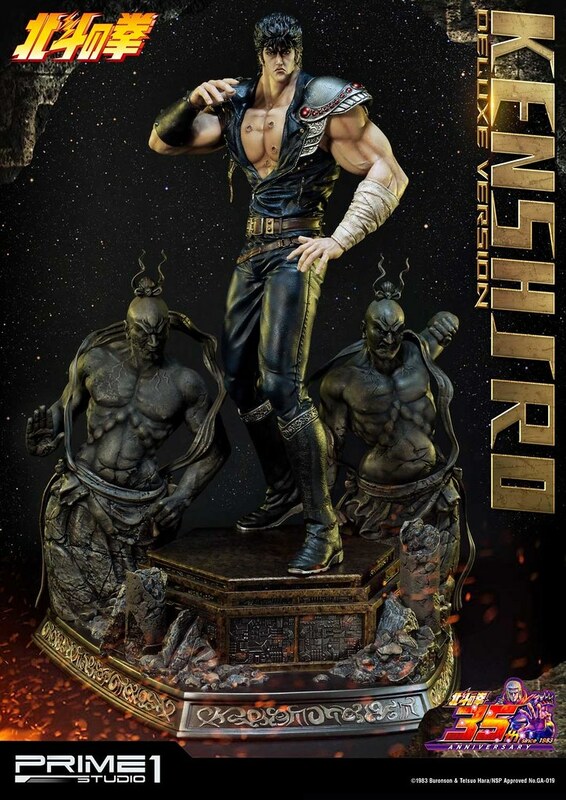 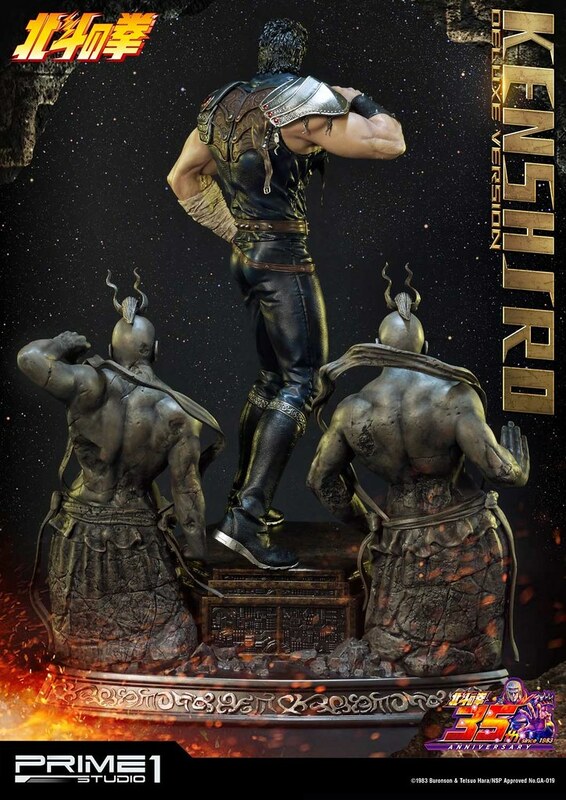 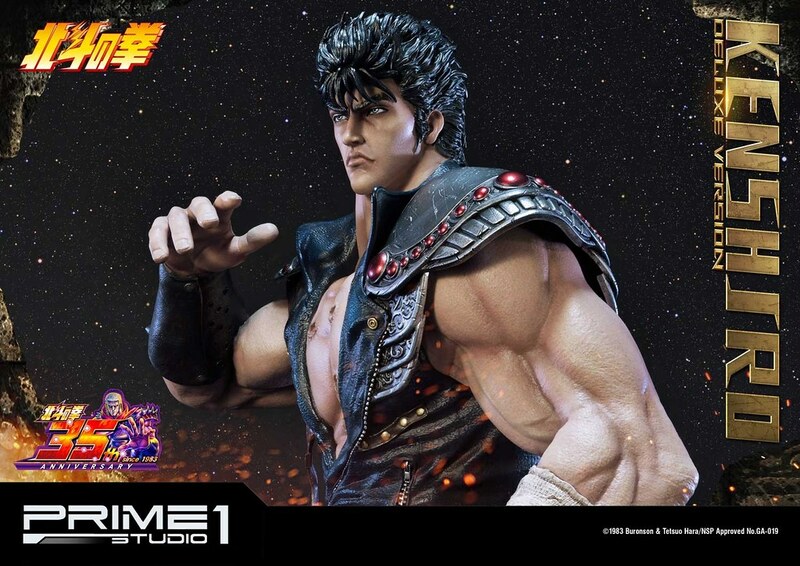 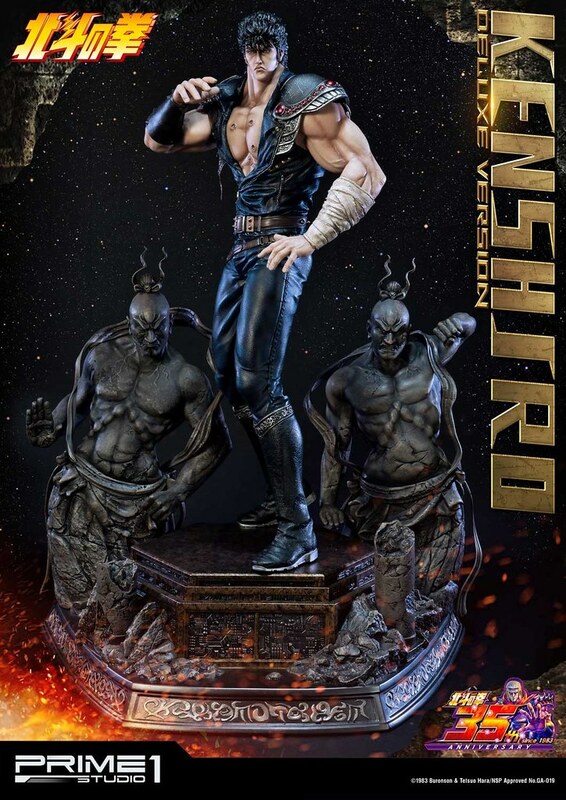 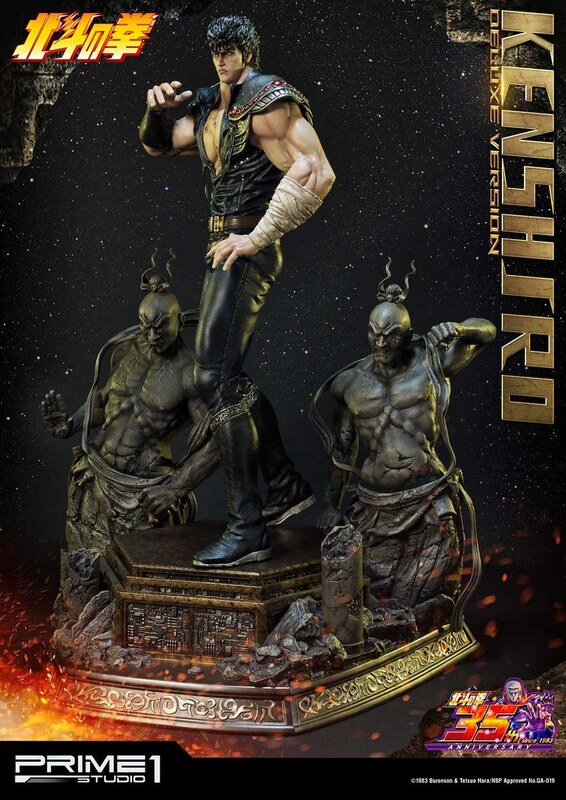 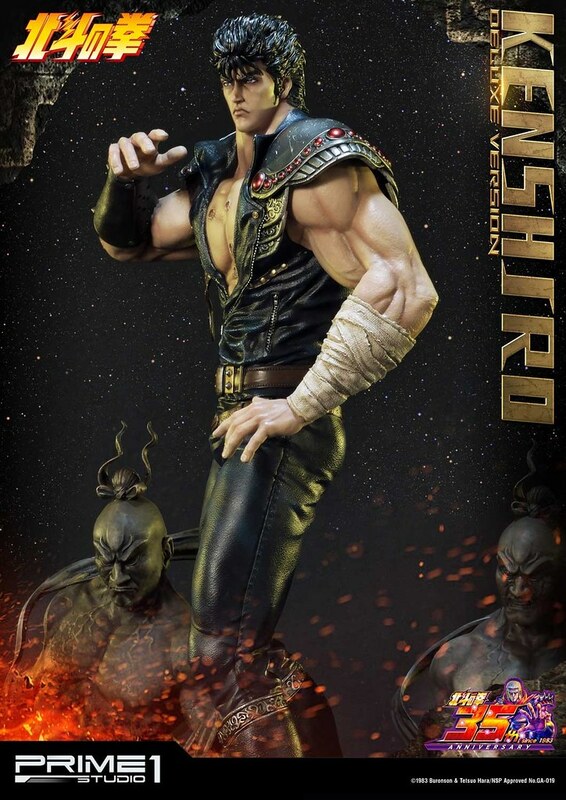 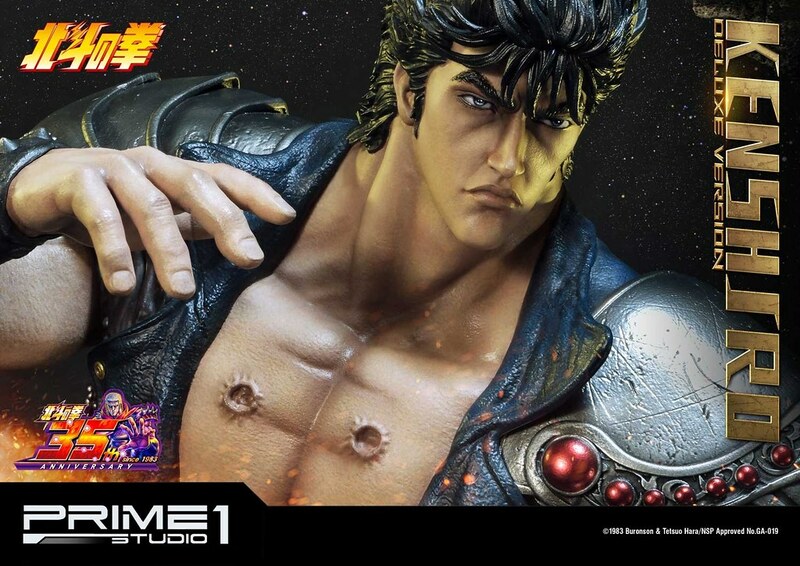 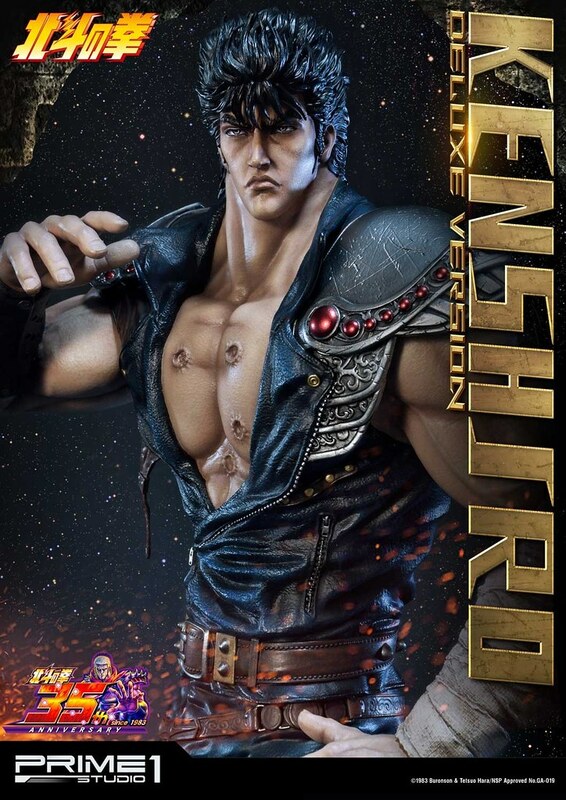 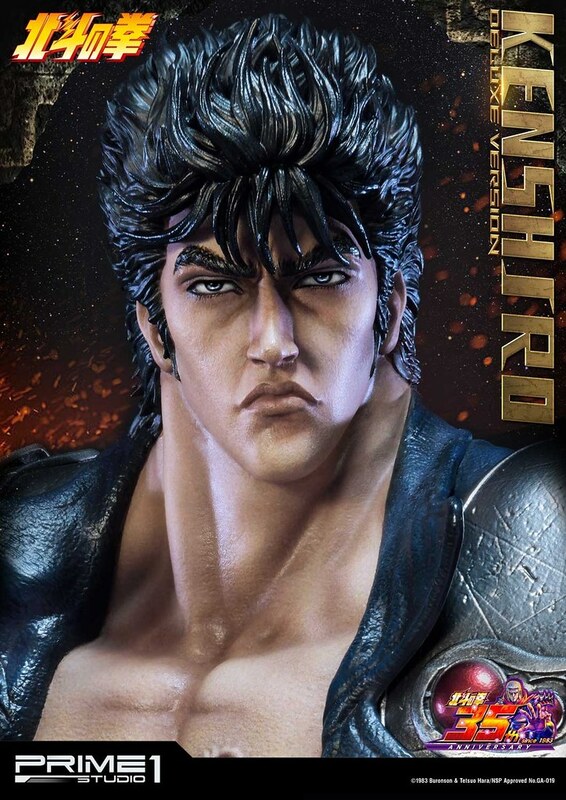 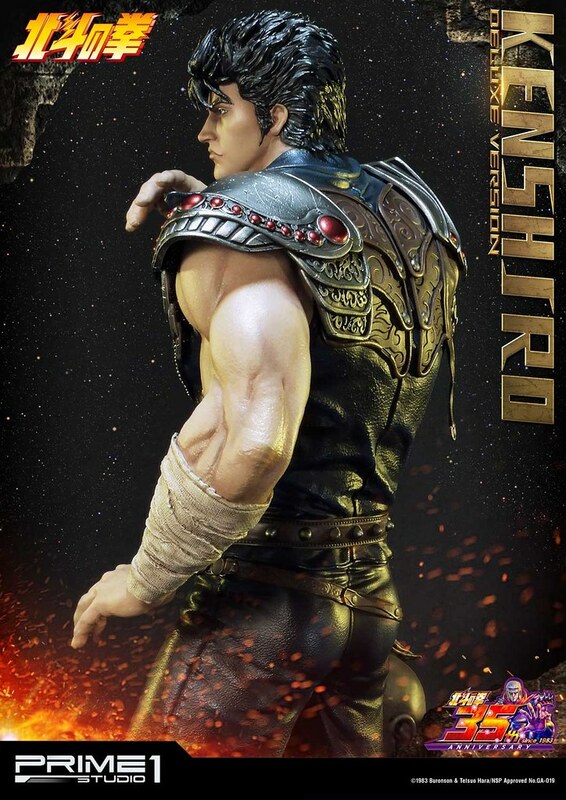 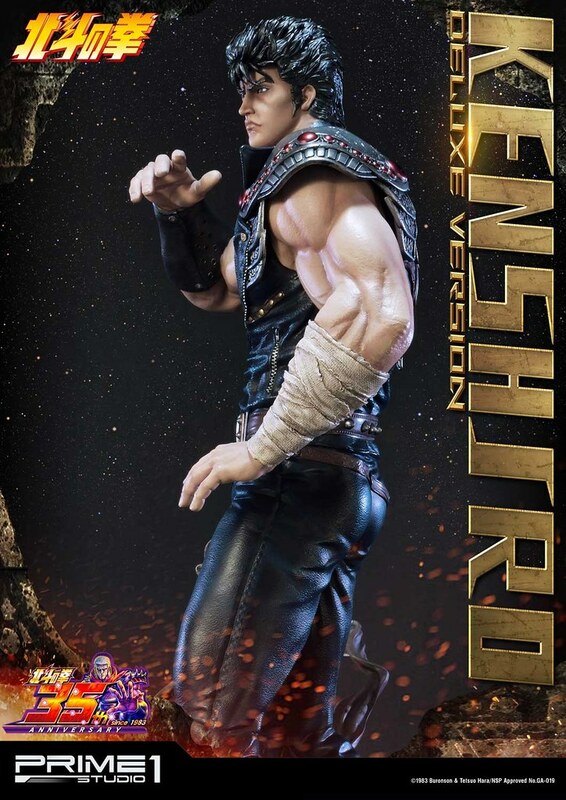 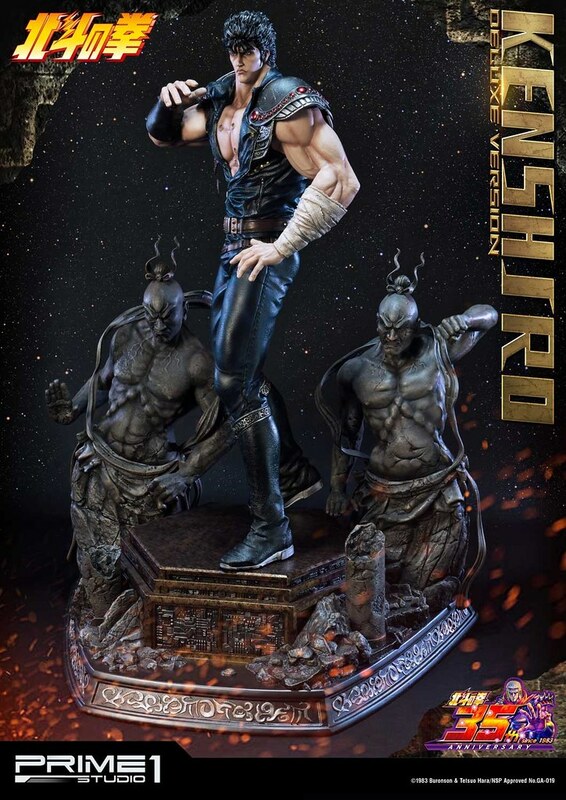 Celebration Fist of the North Star 35th Anniversary, Prime 1 Studio recently announces their first statue from the series, Kenshiro （ケンシロウ）1/4 Scale Statue with the normal and deluxe edition, estimate release between November of 2019 and January 2020. 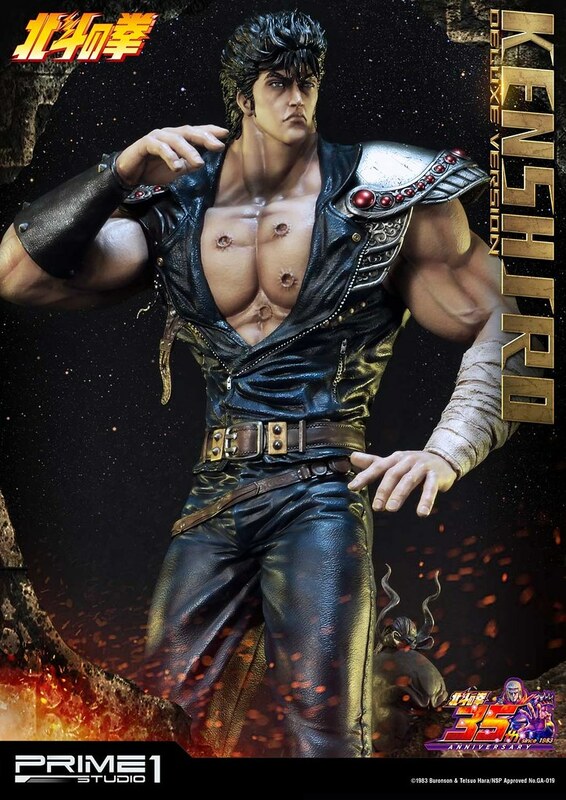 Fist of the North Star is set in the Mad Max Post-apocalyptic universe. 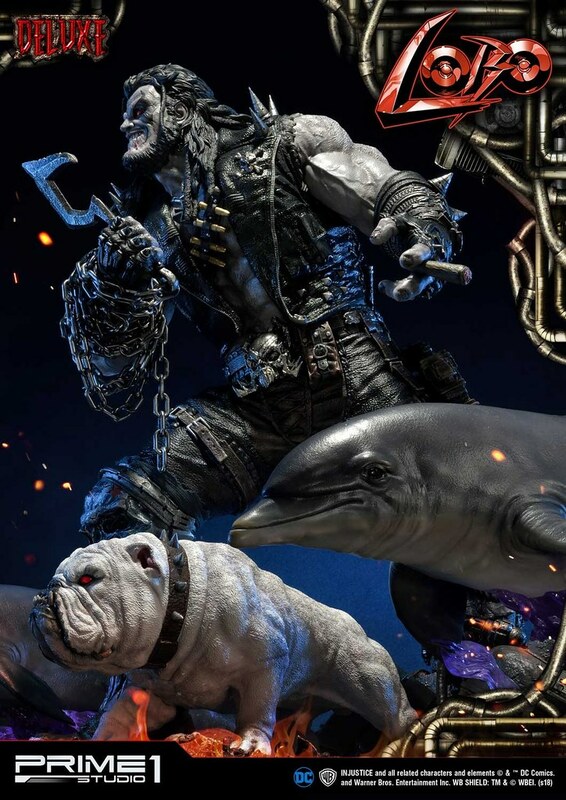 Dried sea and crack soil with the doomsday still lingering. 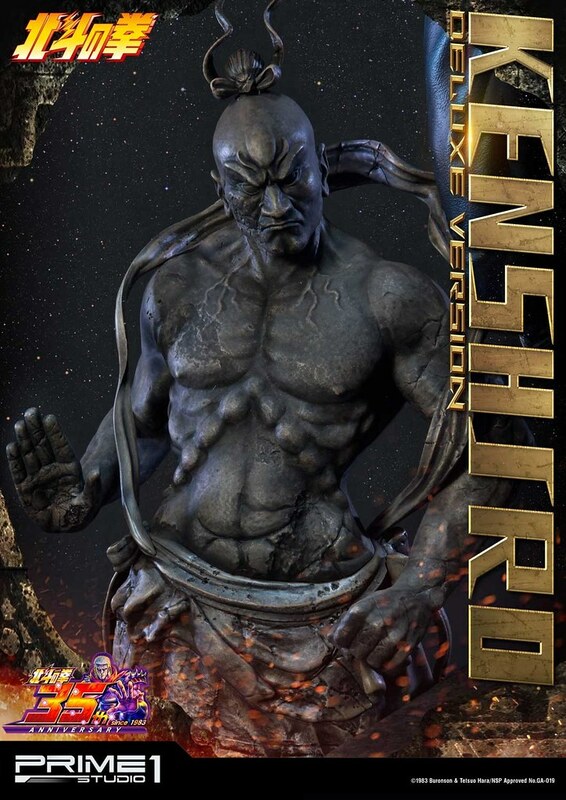 The surviving man fought each other for resources, with the mightiest feasting the weak. 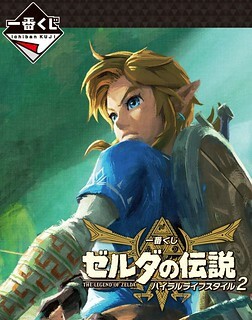 Powerful organization and country spread throughout the land, ruthless killing and pillaging is the common sight. 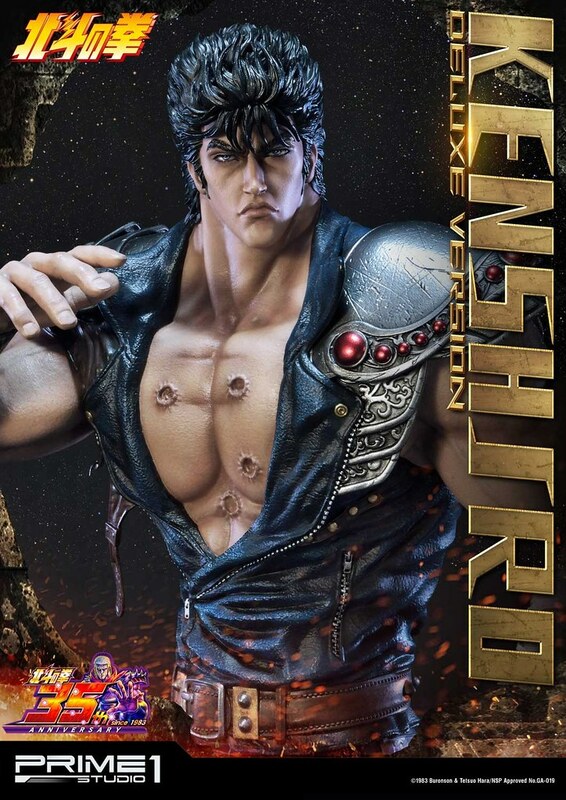 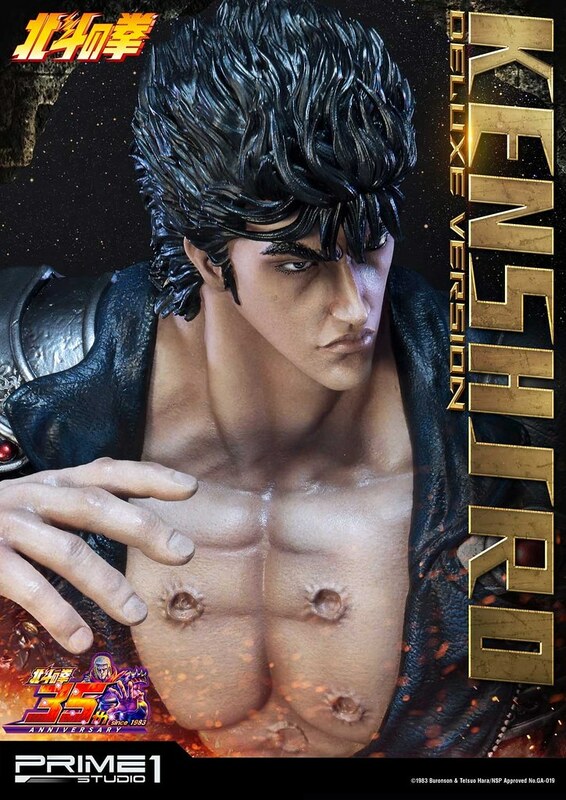 Protagonist Kenshiro uses the art of Hokuto Shinken, a deadly 1,800-year-old assassination style able to use 100% of the human power, to attack acupressure points and destroy the body from within. 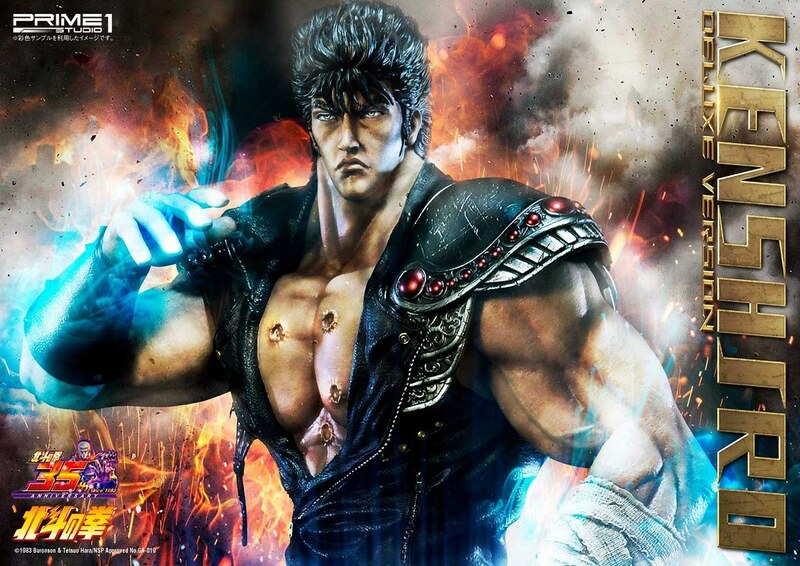 Beside killing Kenshiro also use it to cure disease and compel people to speak the truth. 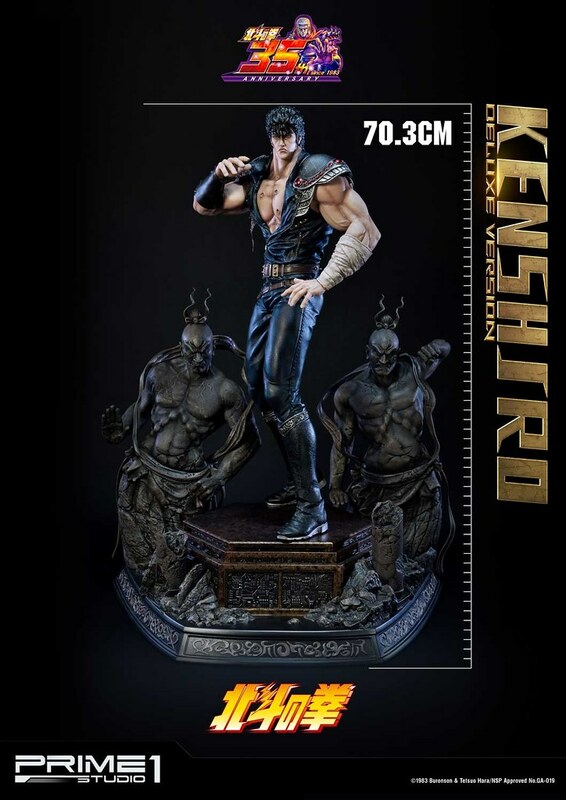 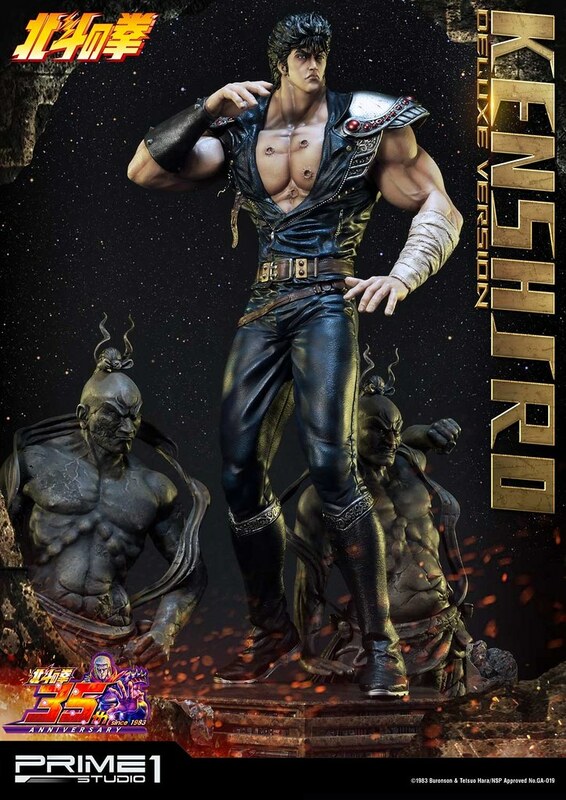 Kenshiro 1/4 Scale Statue is 28"(70 cm)tall, with Kenshiro standing in his iconic stance. 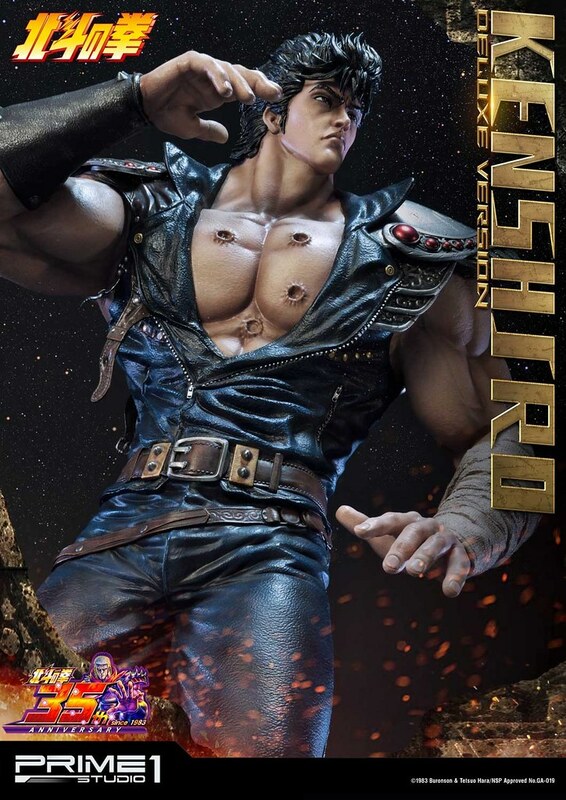 Intense eye and thick muscle are super domineering. 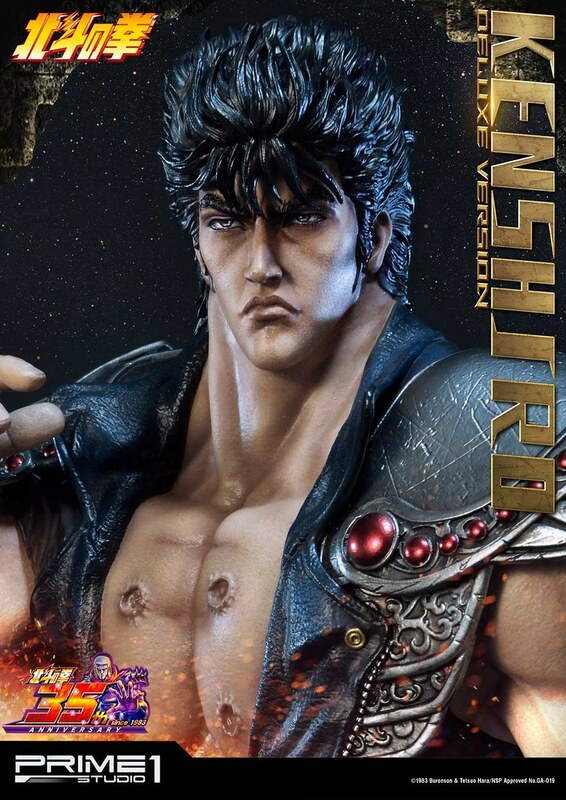 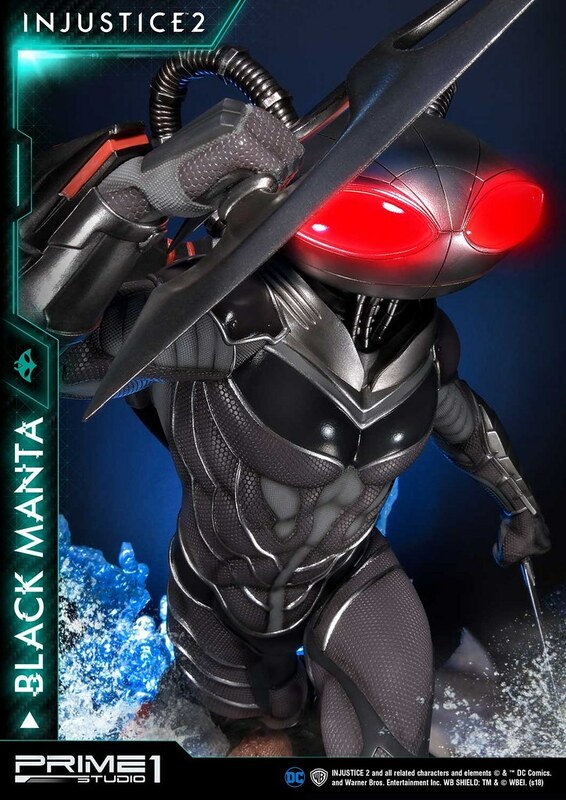 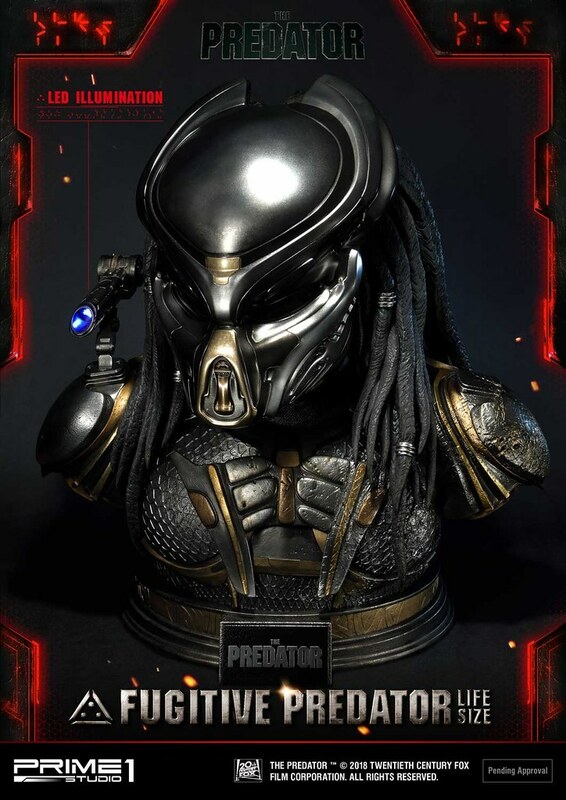 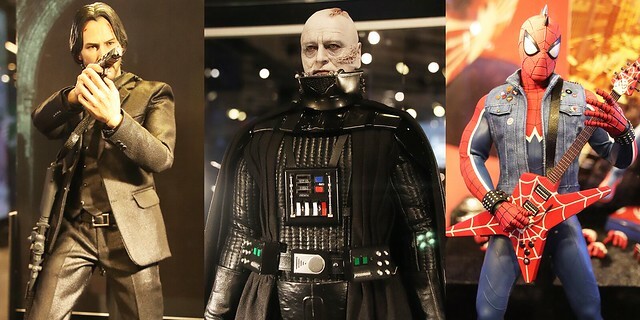 Hairstyle, chest holes, and cloth and armor and all faithfully recreated. 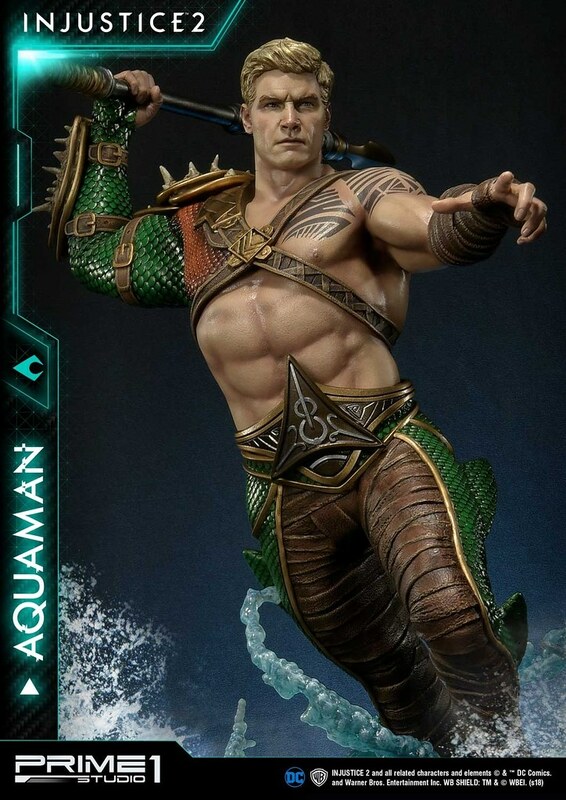 Cloth wrinkles and weather armor add realism to the piece. 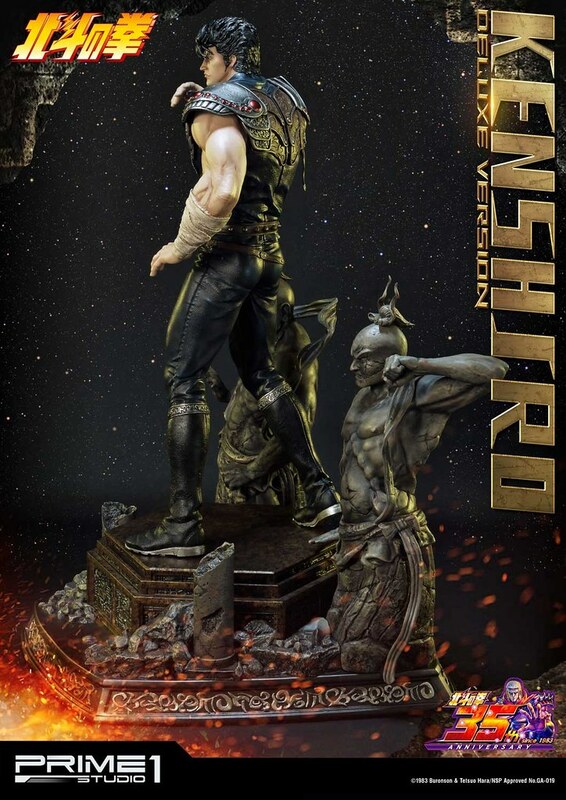 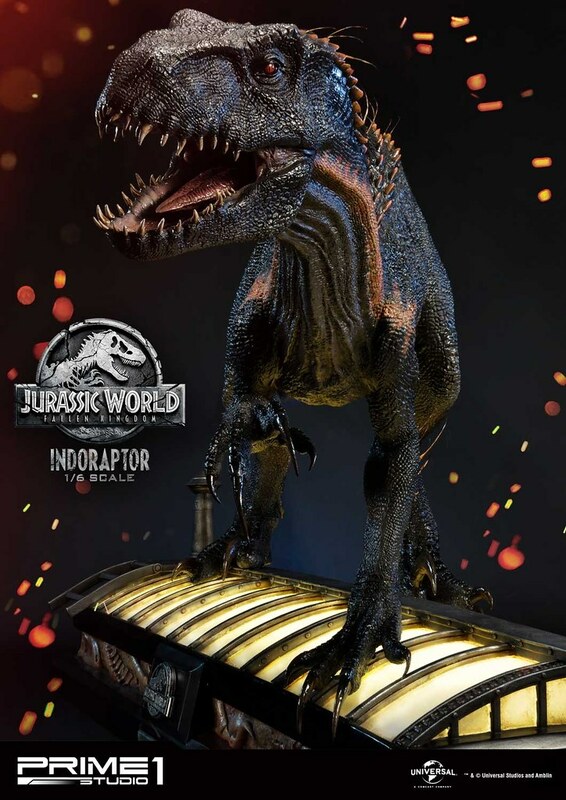 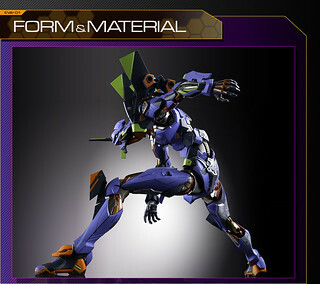 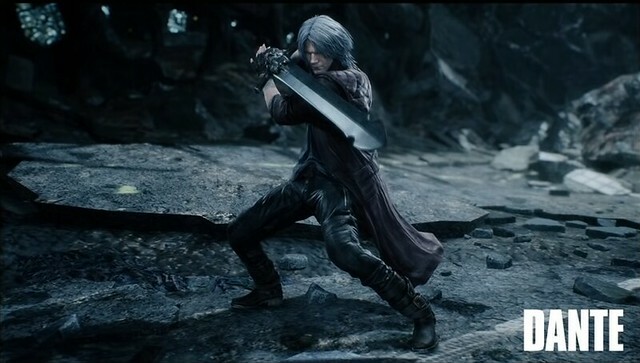 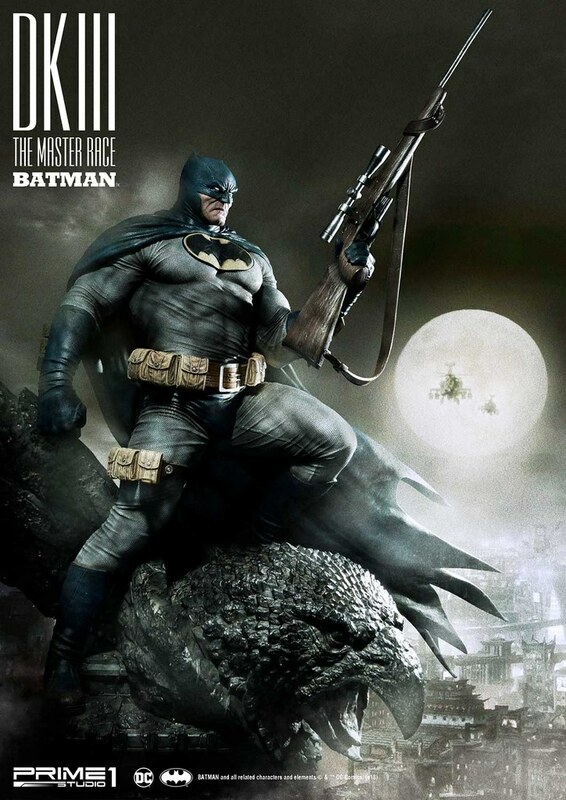 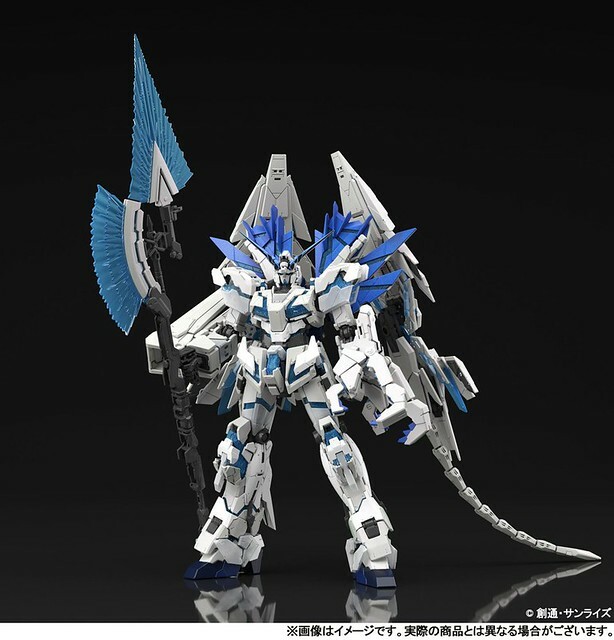 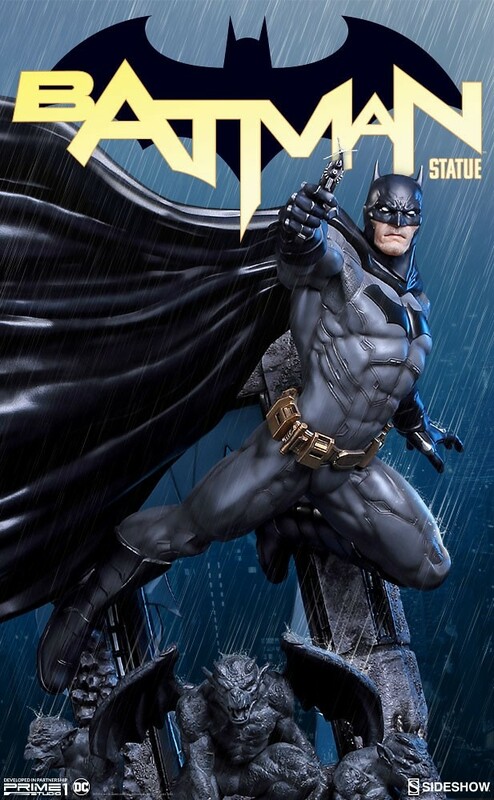 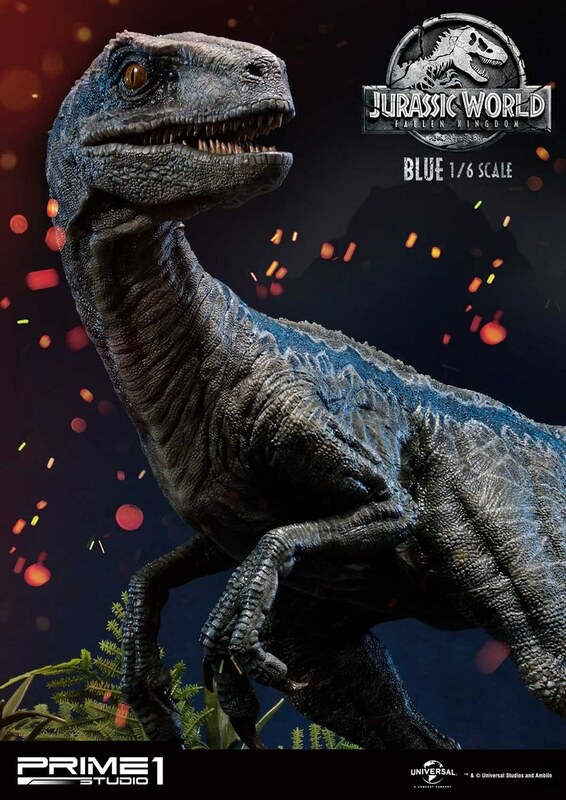 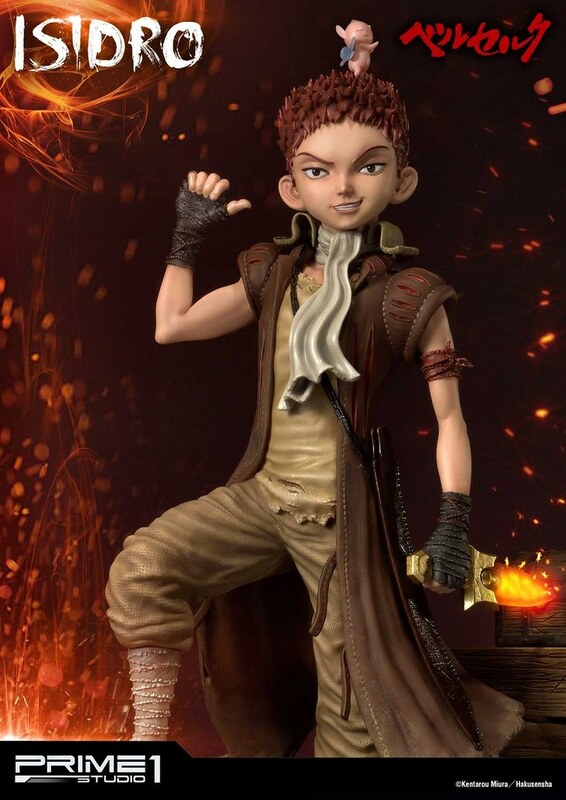 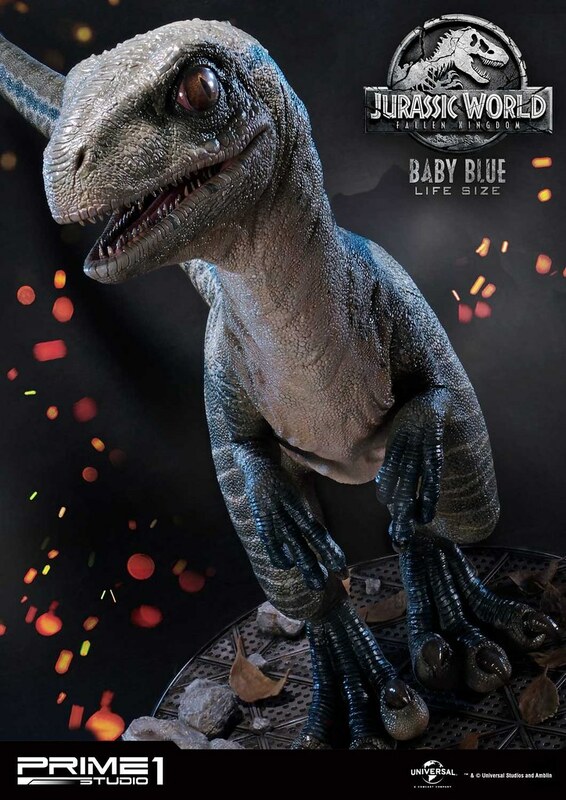 Deluxe edition has Nio Guardians and A-un, which symbolizes fist of the North and South Star, on the Base.